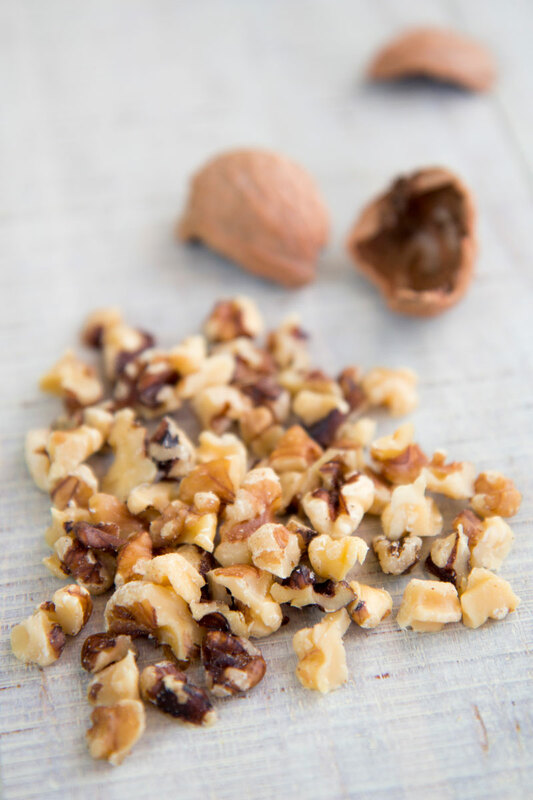 Pinenuts, walnuts, and raisin are the most classic ingredients of Tuscan Castagnaccio, but it is possible to add different dried fruit to taste. I like to cover my cake with abundant garnish, but some people in Italy prefer to halve the quantity of dried fruit. 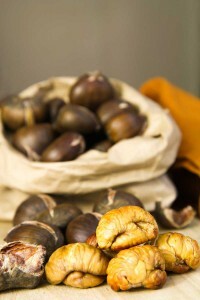 Tuscan Castagnaccio traditionally is not a very sugary dessert, to better appreciate the taste of the Chestnut flour. But, if you want to enhance the sweetness, add more honey: I promise to not say anything about this to the Tuscan people! 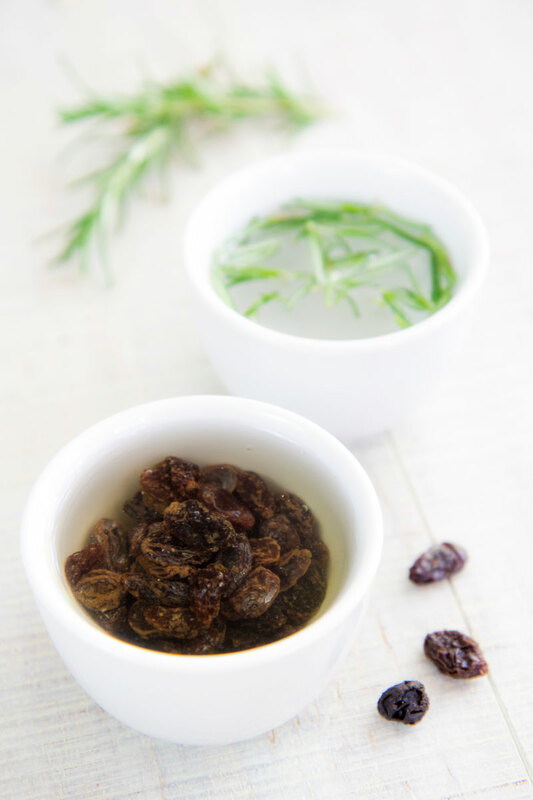 First of all soak the raisin in lukewarm water or sweet wine, then soak the rosemary leaves in another bowl filled with water. Finally, reduce the walnuts into pieces. 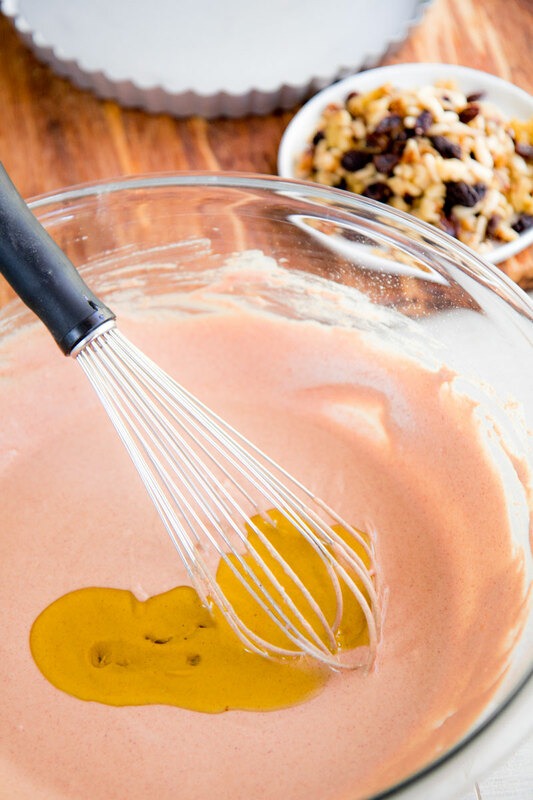 Sift the chestnuts flour and pour into a bowl. Add the water a little at a time, stirring with a spatula until consistent, then add 1 tsp of table salt, 1 tsp of honey, and 2 tbsp of extra-virgin olive oil. After that, grease a 9 -inch baking tin with 1 tbsp of olive oil or line with parchment paper. 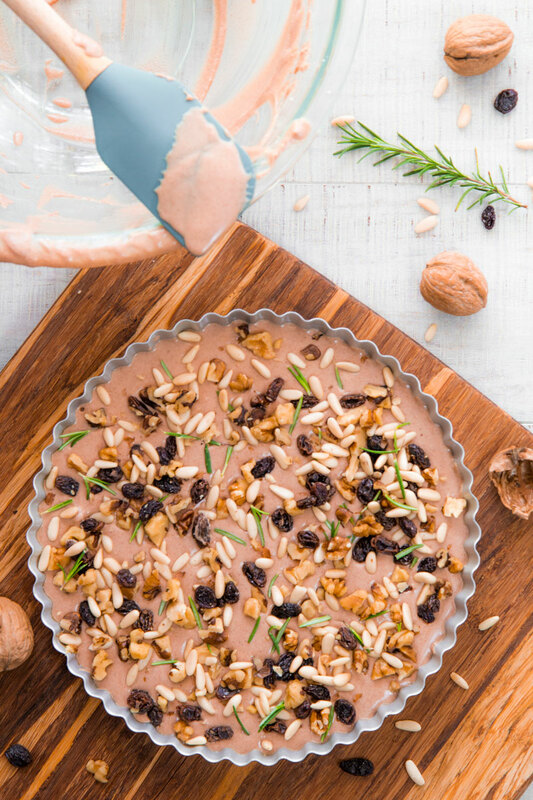 Now, pour the chestnut mixture into the baking tin and garnish with pine nuts, walnuts, and raisin. Now, bake the Castagnaccio about 35-40 minutes depending on your oven, until the surface becomes perfectly dried and starts to crack. Finally, take out from the oven and wait for the chestnut cake reach room temperature before reducing into slices. Serve Castagnaccio lightly warm or at room temperature. 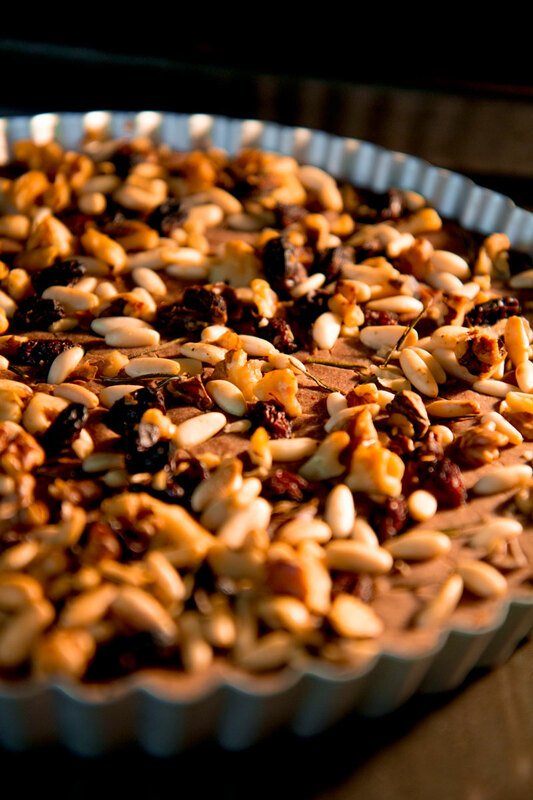 In Tuscany is common serve this chestnuts cake simple or along with a ball of ricotta, sugar and honey mixture. Personally, I love to garnish it just with 1 tbsp of honey. Love this recipe !! I plan to make it soon. Love your blog PhilosOKitchen too. 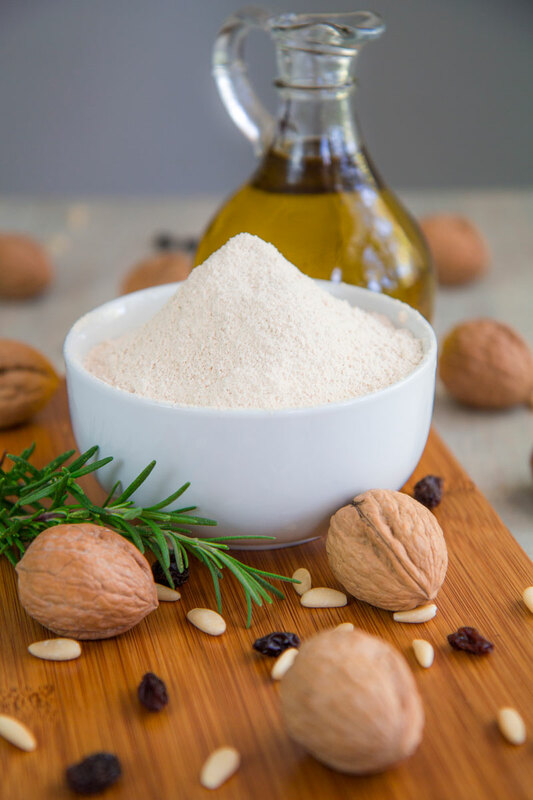 It’s good to find a nice recipe for chestnut flour that isn’t too sweet and is dairy free too! I really like this and want to try, may I ask on your picture is that a vinyay or caramel sauce on bottom? Nice Petrina, let me know! can’t wait to have a bite …………. Era buonissssimo!!! Grazie per una ricetta tradizionale. 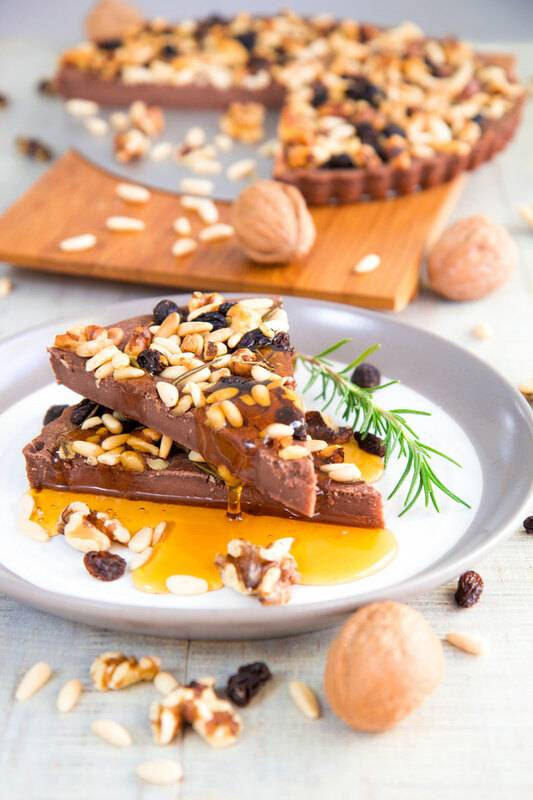 I had this dessert in Florence last weekend and wanted to recreate it at home here in Sutri to impress our Italian friends-this is perfect! Grazie mille per una ricetta tradizionale!Ho provato un castagnaccio come questo in Firenze la settimana scorsa e vorrei fare una dolce per nostra amici italiani!! Again, many thanks for a chance to impress our friends! Turned out beautifully – thank you! I made this recipe and it is delicious. The only thing for me was that it didn’t slice well, it wasn’t as firm as I thought it would be. I will definitely make it again. Possibly add some chocolate chips and pumpkins seeds.